This is the live version of the KIPS Foundations of Steel Mace Training Certification. Steel Mace or Lever Bell Training is becoming a popular way to improve shoulder mobility, increase upper body strength and improve grip strength. This training modality has been around for thousands of years, and has been used as a weapon in many cultures. As the world of Mace grows, so will the education made available to the health & fitness industry. In this course you will learn how to apply this unique training tool with your clients, and why it can be a beneficial addition to your programming. Do I need to bring a steel mace? No. We will provide you with a steel mace to utilize throughout the workshop, but please feel free to bring your own. You will also be provided with discounts codes to purchase a steel mace. Yes. At the end of the day students will take a 50 question multiple-choice exam and have to verbally cue an exercise for one of the instructors. After purchasing the course, trainers are given access to coupon codes from three different equipment manufacturers. Also, trainers who complete the course are given a $75 discount on the Foundations of Club Training Certification and the online version of the course. 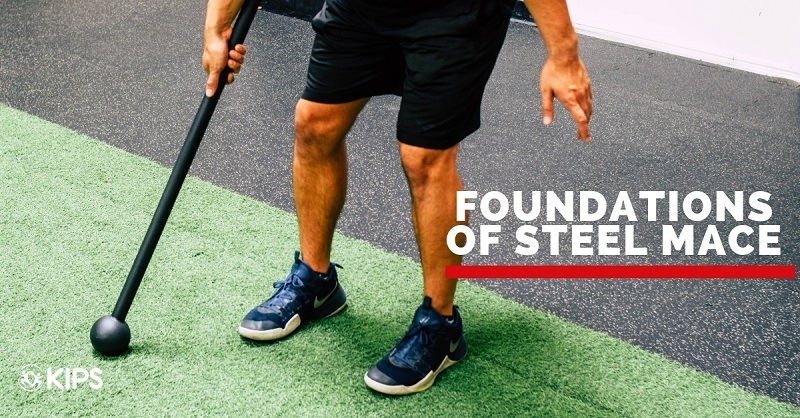 View the ONLINE Foundations of Steel Mace Training Certification Page.